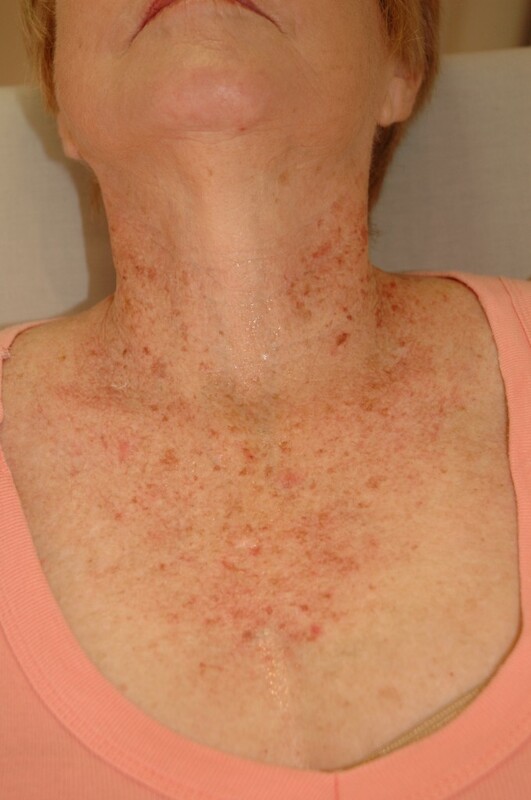 Liquid nitrogen therapy tends to leave white scars that can be very unsightly. Recurrent use of liquid nitrogen results in a very spotty look with multiple brown areas intermingled with white spots. The healing process following liquid nitrogen therapy is also messy with frequent blistering that can’t be camouflaged with cosmetics. Depigmenting creams tend to work slowly and will only very rarely result in satisfactory results. How successful is laser pigment removal? Most patients will need between 1 and 3 treatment sessions, depending on the degree of pigmentation and the specific disorder that is treated. A 50-90% reduction in pigmentation can be expected. The treatment is uncomfortable, but 99% of people tolerate the treatment quite easily. If someone has an unusual sensitivity to the laser treatment then appropriate analgesics will be prescribed. Will the pigmented areas come back? What does the laser pigment removal treatment cost? It depends on the size of the area that needs treatment. As a general guideline, a full-face treatment will cost between R1500 and R2200. I have a big pigemntation mark on my left cheek, about the size of a R1 coin. I think it was caused to some scarring and not the sun. I have been to a well know salon for IPL but have had about 15 treatments but it still not gone, only a bit lighter. Will this treatments eventually work or would you suggest something else. After numerous treatments and no response, it would be best to consult with the Dermatologist for appropriate treatment. There are various treatment options available in this regard. It would be best to consult with the Dr.